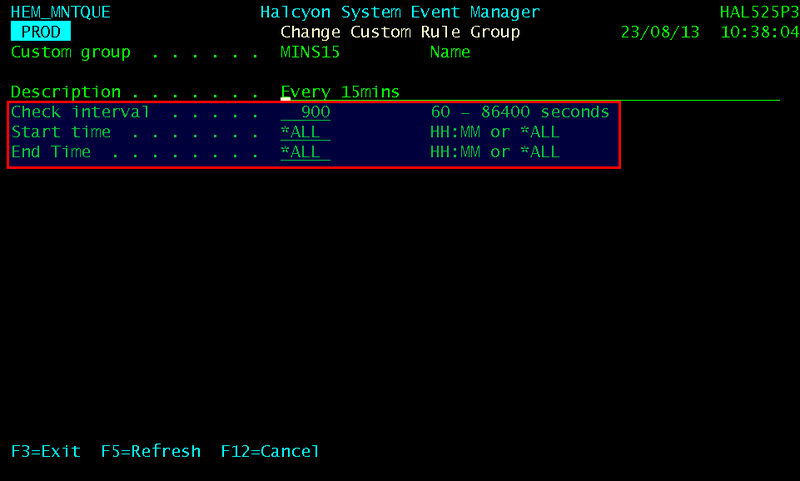 Halcyon Custom Task Monitor allows you to run a command at specified intervals, defined at Group level, within day and time constraints. 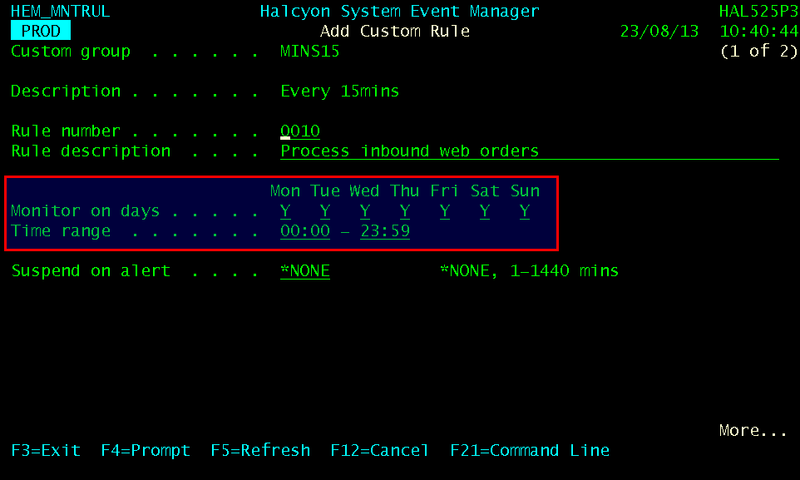 This allows you to use Custom Task Monitor to act as a simple Job Scheduler and also to extend Halcyon's monitoring in to new areas - and all backed up with the comprehensive Halcyon alerting and automatic corrective action functionality. 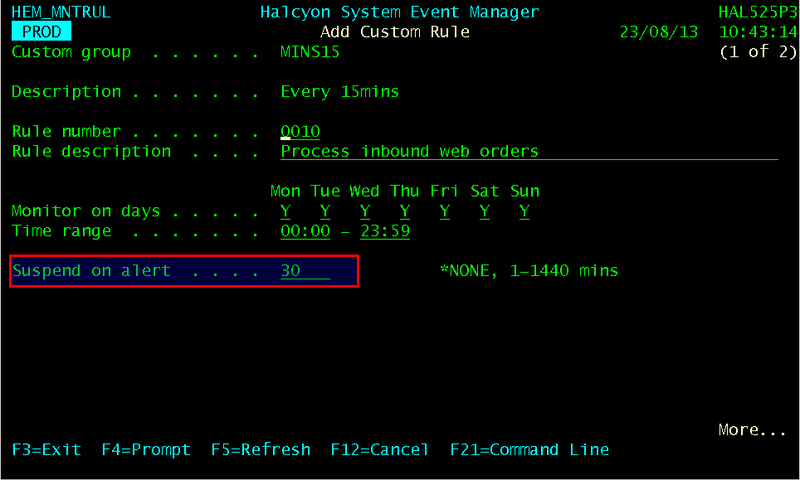 Sending an Alert to the Halcyon Enterprise Console, a graphical color-coded dashboard. 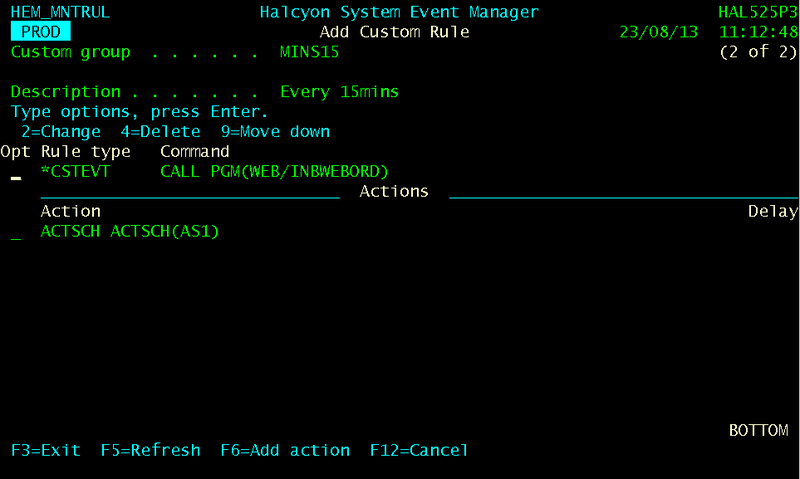 Sending an Alert to the Halcyon Enterprise Console iPhone and/or iPad app, a graphical color-coded dashboard. Sending an Alert to an IBM i message queue, such as QSYSOPR. Sending an Alert via email to multiple recipients, with full support for Rotas and Escalations. Sending an Alert via SMS to multiple cell phones or smart phones, with full support for Rotas and Escalations. Sending an Alert to other systems via use of SNMP. Sending an Alert to an external file on the IBM i. Enabling future runs/checks of another Rule. * A problem/error is determined by the command returning a message with Severity 30 or greater.